Currently, the criteria that must be satisfied for a group of employers to sponsor a single ERISA plan are very narrow. As a result, most multiple employer health plans are treated as a collection of plans that are separately sponsored by each of the participating employers. Under these current rules, the size of each participating employer determines whether the coverage is subject to the small group or large group market rules. Thus, to the extent the participating employers are small employers, the coverage is subject to the ACA’s requirements for the small group market, including the EHB coverage requirement. AHPs are a type of multiple employer welfare arrangement (MEWA). Historically, some operators of MEWAs have taken advantage of gaps in the law and defrauded customers. The ACA includes provisions to target MEWA abuses, including improved reporting and stronger enforcement tools. Also, ERISA allows states to regulate MEWAs under their own insurance laws and regulations. For example, to guard against fraud and abuse, a number of states provide that self-insured MEWAs must be licensed, registered, have a minimum number of participating employers, obtain an actuarial opinion that the MEWA can meet promised benefits and keep a minimum level of reserves. Several states prohibit self-insured MEWAs altogether. Critics of expanding AHPs have raised concerns about the potential for consumer fraud in connection with these arrangements. In the final rule, the DOL notes that it anticipates close cooperation with state regulators to guard against fraud and abuse. The final rule expands current guidance to allow more employers to join together and sponsor AHPs that are treated as single plans under ERISA. When an AHP is treated as a single ERISA plan, all employees covered by the plan are considered when determining the insurance market rules (that is, small group or large group) that apply to the plan. 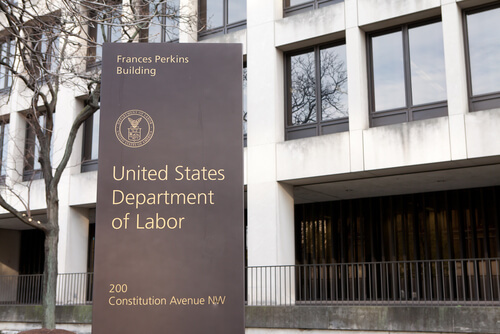 According to the DOL, this reform provides small employers—many of whom are facing higher premiums and fewer coverage options—with a greater ability to join together and gain many of the regulatory advantages enjoyed by large employers, as well as increased bargaining power. Some consumer groups, however, have expressed concern that AHPs will attract small employers with healthier workers, which could increase premiums in the small group and individual markets, including the ACA marketplaces. Critics have also pointed out that, while AHPs may have lower premiums, they are also exempt from some key consumer protections under the ACA. For example, most AHPs will not be subject to the ACA’s EHB requirement, which requires small group plans to cover a core set of items and services, such as mental health care, maternity and newborn care, prescription drugs and emergency services. Most AHPs will also be exempt from the ACA’s rating restrictions for the small group market, which means that AHPs may base premiums on factors such as age, industry and gender. The group or association has a formal organizational structure with a governing body and has bylaws or other similar indications of formality. The group or association’s member employers control its functions and activities, including the establishment and maintenance of the group health plan. Only employees and former employees of the current employer members (and family members of those employees and former employees) may participate in the group health plan sponsored by the association. The group or association is not a health insurance issuer (or owned or controlled by an issuer or by a subsidiary or affiliate of an issuer). In addition, the final rule requires AHPs to comply with certain consumer protections and anti-discrimination protections that apply to the large group market. For example, AHPs may not charge higher premiums or deny coverage to people because of pre-existing conditions, or cancel coverage because an employee becomes ill. Additionally, AHPs under this rule will not be able to charge employers different rates based on the health status of their employees. The final rule does not affect existing AHPs, which are allowed under the DOL’s current guidance. These plans can continue to operate as before or may elect to follow the new requirements if they want to expand within a geographic area, regardless of industry, or to cover the self-employed. The final rule includes a phased applicability date. The final rule allows fully insured plans to begin operating under the new rule on Sept. 1, 2018. Existing self-insured AHPs can begin operating under the new rule on Jan. 1, 2019, and new self-insured AHPs can begin on April 1, 2019. According to the DOL, this phased approach will provide prompt relief to individuals seeking affordable health coverage through AHPs while allotting some additional time for the DOL and state authorities to address concerns about self-insured AHPs’ vulnerability to financial mismanagement and abuse. Contact the Broad Reach Benefits team to learn how we can utilize this new rule to band employers together to improve healthcare costs and benefits.